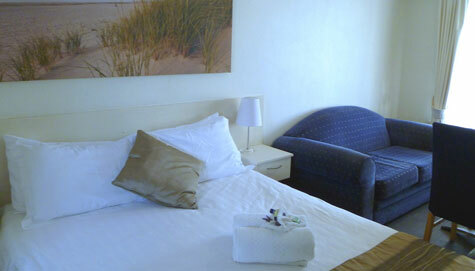 Our Queen Rooms can accommodate 2 people and feature a large, queen size bed complemented by an ensuite bathroom with shower & vanity, hair dryer, iron and ironing board. Reverse cycle airconditioning ensures your comfort all year round. 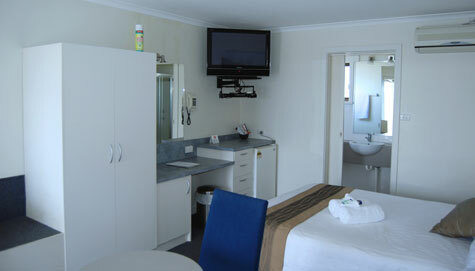 You'll also enjoy Free WiFi, a Flat Panel TV, DVD player and Free Access to Netflix™. 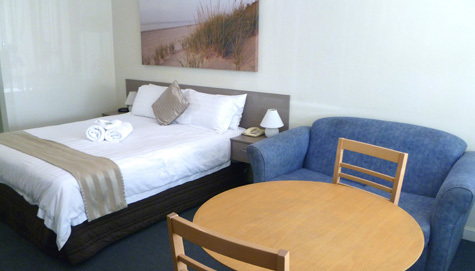 A seating area is provided and each room has a toaster and tea/coffee making facilities. 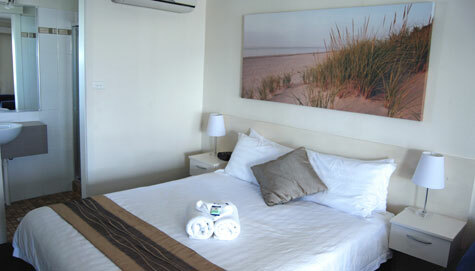 The room rate quoted is based on 2 people.